There is a lot of ugliness in this world. On a global scale poverty, war, disease, famine, and disaster seem to run rampant. Local communities suffer from crime, broken families, bullying, prejudice. Under my own roof you may find harsh words, dishonesty, anger, bitterness, & selfishness on any given day. Still, "there is nothing new under the sun." The ugliness of the human heart remains until the terminally ill patient submits to the ONE who can perform the life-giving transplant. I have had the surgery; yet the darkness of that old, hard heart still occasionally tries to creep in and interrupt the abundant, healthy rhythm He placed in me. Usually, the arrhythmia takes the form of fear, bitterness, or discontent. It can happen very subtly, so I must guard against the false thinking that causes my heart to skip beats. The best way to combat lies is with TRUTH. so you can RECOGNIZE Truth and dismiss anything else as a lie. 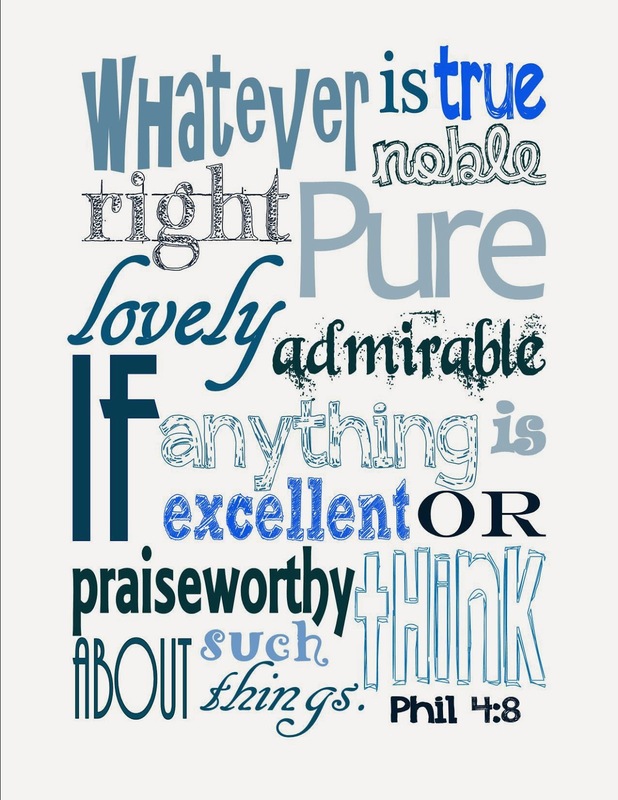 Finally, brothers, whatever is true, whatever is noble, whatever is right, whatever is pure, whatever is lovely, whatever is admirable--if anything is excellent of praiseworthy--think about such things. This is our pacemaker. Focus on Beauty. 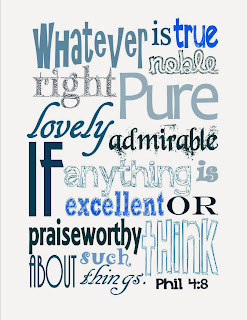 Fill your mind with true, noble, right, pure, lovely, admirable, excellent, and praiseworthy things. Surround yourself with influences (people, books, music, media) that promote a healthy heart. Enjoy this little homemade subway art. Print out and post somewhere you will see it often!